Passed peacefully away on Thursday December 13th, in her 90th year, our dear mother Theresa Alma Haire (Ryan) at Hilltop Nursing Home in Cambridge, Ontario where she had resided for over 6 years. Predeceased by her husband John (Jack) Patrick Haire in December 1975 and her parents Joseph and Stella Ryan of Pasadena. She is survived by daughters Lorraine (Dennis) and Corinne (Steve), four sons, Joe (Kerry), Brian (Michele), Cecil (Lynn), Leo and her step-children Basil (Mary) and Janet (Ollie). As well leaving to mourn are her grandchildren, Tyler, Natasha, Sara, Josh, Alix, Kyle, Cameron, Olivia, Natalie, Julia, Jackson, Gina, Rebecca, Trevor, Brenda, David, Douglas, Nicole, Kim and Jennifer and several great-grandchildren. She is also survived by four siblings, Stella, Florine, Pat and Jean and dozens of other family members and friends. Anyone who knew Theresa knew how important her faith was to her. 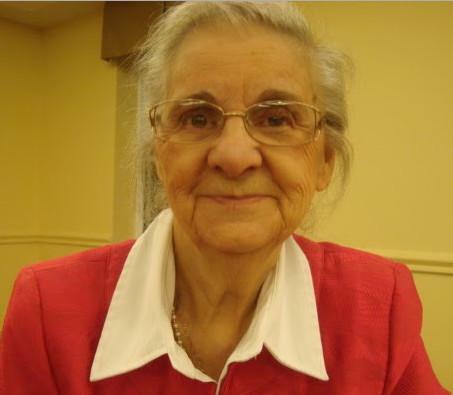 She served her Catholic community as Parish Secretary at All Hallows Parish in Corner Brook and as Eucharistic Minister at All Hallows, Holy Rosary Parish in Pasadena and St. Mary's of the Visitation Parish in Cambridge, Ontario. The family wishes to express their sincere gratitude to the staff at Hilltop Manor nursing home in Cambridge for their many years of dedicated care and compassion. Visitation will take place at Fillatre’s Funeral Home, 4 St. Marks Ave., Corner Brook between 2-4 pm and 7-9 pm on Thursday, Jan 10th. The funeral mass takes place at Holy Rosary Parish in Pasadena at 10:30 am on January 11th with Father Gerard Patry officiating. Interment to follow at the family plot, Mt. Patricia Cemetery, Corner Brook. Instead of flowers a memorial donation can be made in mom's name to a charity of your choice. Messages of condolence may be left for the family by visiting our website www.fillatre.ca.